I don't know how Sue Sykes does it, but she always comes up with amazing sketches! 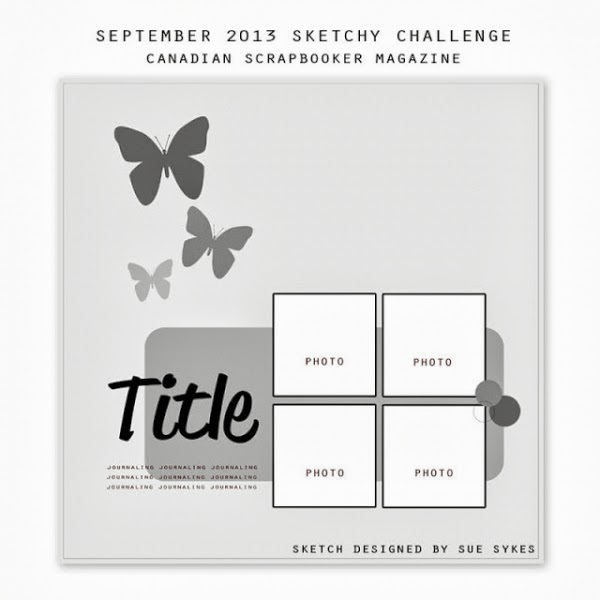 This month's sketch at Canadian Scrapbooker worked perfectly for the pics of my daughter at the lake when we were camping. I changed the sketch a bit to fit with 2 pics instead of 4, but I love how it came together. Thanks, Karla! Love that you are playing along each month!